"Mullah Omar has given the green light to talks," Abdullah Anas, a Taliban mediator, explained recently to The Sunday Times. "A big, big step has happened. For the first time, there is a language of peace on both sides." Everything seems to point to the fact that those involved in the secret strategic talks between the Taliban and the Afghan government that have been taking place in Saudi Arabia in recent months have reacted positively to President Barack Obama's offer. If these reports were to be confirmed, it would put the negotiations, which are supported by the British and tolerated by the United States administration, on new footing. 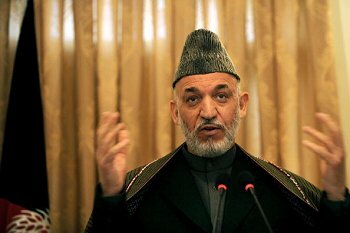 "I have been meeting with Taliban for the last five days and I can tell you Obama's words have created enormous optimism," said Qayum Karzai, brother of the incumbent Afghan president. "There is no other way left but talks." Nevertheless, the Afghan people remain skeptical. "Afghanistan's politicians should know that people do not want the Taliban back in power," said Massood, a well-known television show host. "If Obama says 'yes' to negotiations, this can mean two things: firstly, it is an admission that the United States needs the Taliban to achieve a better result, and secondly, it is a shameful setback for all democratic efforts." Abdullah, a young Tajik politician who has followed all negotiations between the government and the Taliban with mistrust, said: "We have to talk to these people. It is clear that large parts of the Pashtun population, especially in the South, sympathize with the Taliban. If they accept that it is not about toppling the entire state and forcing people to do things, then there is no alternative to sharing power with them." In view of the United States' admission that it is not winning the war in Afghanistan, it would seem as if there is no alternative to Obama's idea. That being said, there are contradictions — American diplomats criticized the most recent agreement between the Pakistani Taliban and the government in Islamabad in the troubled district of Swat. In the opinion of Ahmed Rashid, author of the bestseller, "Taliban," this makes it possible for the Taliban to prepare itself calmly for the conflict in Afghanistan. Nevertheless, the circle of people closest to Mullah Omar is only one branch of the movement. The fact is that the Taliban is extremely heterogeneous. If Obama could succeed in including local, non-ideologized leaders of the insurgency in the process of political reconstruction, there would be hope of gradually isolating the leadership of the radical Taliban. Moreover, the 17,000 additional soldiers Obama is sending to the region would seem to contradict his interest in negotiations. Experts feel that his administration would like to conduct any possible negotiations from a position of strength, which could result in militant Taliban groups also arming themselves for tough wartime clashes. In the meantime, observers are calling for minimum preconditions to be defined for the negotiations. For example, the Taliban should be required to distance itself from terrorist attacks and accept the Afghan constitution and equal rights for women. In return, an amnesty could be granted to some of the insurgents. A corresponding state program has already been in existence for several years. Moreover, just under a dozen former members of the Taliban are members of the Afghan parliament. Meanwhile, the world waits for the new American strategy on Afghanistan. The anti-terror campaign run by the military over the past seven years has often been undifferentiated and, in terms of strategy, not very well thought out. According to both diplomats and aid workers, this makes it hard for the insurgents to lay down their weapons. For quite some time now, the remaining member states of NATO have been involved in the new, aggressive strategy, which has taken the lives of an increasing number of civilians. Aid workers are feeling the effects of this state of affairs; it is increasingly impossible for them to work in areas where the international military is operative, even for short spans of time. The fact that the Taliban continues to gain influence is primarily due to the inability of the Karzai government and Afghanistan's donor countries to bring a noticeable improvement to the lives of the rural population. A considerable increase in employment would also mean an increase in security. As it is, however, corruption and unemployment are a fertile breeding ground for the insurgency movement. In recent months, the United States appears to be extending a hand to the Muslim world. But the relationship can only be bettered if military engagement in Iraq and Afghanistan comes to an end. Though the American troop surge is underway in Afghanistan, the United States must continue to engage those elements in the Taliban that are willing to talk in an effort to curb the insurgency and bring lasting peace to the country. Martin Gerner is a freelance journalist and a director of the Afghan Film Festival in Cologne. This article was published by the Common Ground News Service.